On Friday, October 3rd 2008 Congress passed into law the Economic Stabilization Act which included the long awaited 8 year extension of the solar investment tax credit that many feared would be going away. In addition to extending the tax credit this act also eliminated the $2,000 cap that applied to residential systems. Under the new act both commercial and residential systems will be eligible for a 30% tax credit when they invest in solar. 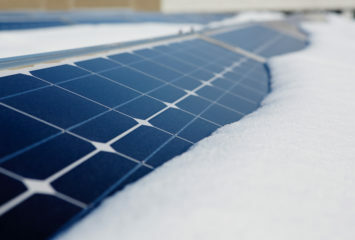 The act becomes effective on January 1st 2009 and is expected to boost growth in the solar industry. 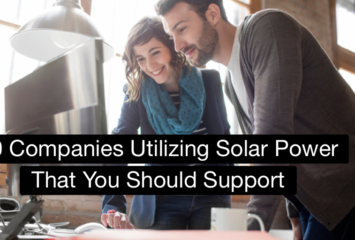 It will also significantly reduce the initial affordability and financial return of solar power for homeowners. For some, this act will shorten the time it takes for a solar power system to pay itself off by up to 10 years formerly ranging from 15 to 20 years down to 5 to 15. When will the new Solar Investment Tax Credit go into in effect? The new ITC will apply to projects placed into service between January 1, 2009 and December 31, 2016. The new rules for the ITC will not be retroactive, so the restrictions on residential installations will remain in effect through 2008. How did the residential Solar Investment Tax Credit change? Homeowners will be able to claim the full 30 percent of the cost of a solar installation as a tax credit; the $2,000-cap will no longer apply. How did the commercial Solar Investment Tax Credit change? Utilities along with all other businesses will now be eligible to claim the 30 percent ITC. What happens if a homeowner can’t use the full credit in the year of installation? Any unused portion of the residential ITC can be carried into future years. How does the alternative minimum tax (AMT) affect the ITC? Tax payers who claim the ITC should no longer be penalized by the AMT calculations, so AMT filers should be able to claim the full ITC. Are there any size limits on projects eligible for the Solar Investment Tax Credit? No, solar projects of any size or cost are eligible. Is the funding for the Solar ITC limited to a certain number of people? No, there are no limits on the number of taxpayers that can claim the ITC. Have the accelerated depreciation rules for commercial projects changed? Partly, commercial projects are still classified as 5 year property under the modified accelerated cost recovery system (MACRS). However, the 50 percent ‘bonus depreciation’ for 2008 projects is set to expire. Can members of a homeowners association (HOA) claim the ITC for an HOA-owned system? Yes, in most cases members of the HOA are able to claim the residential ITC in proportion to their share of the HOA’s expenses; typically a homeowner’s monthly HOA payment should be directly related to their share of the HOA’s expenses.